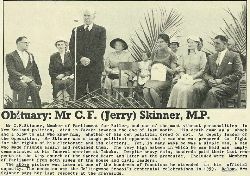 Obituary: Mr C. F. (Jerry) Skinner, M.P. Mr C.F.Skinner, Member of Parliament for Buller, and one of the most vibrant personalities in New Zealand politics, died in Takaka towards the end of last month. His death came as a shock and a blow to all who knew him, whether of his own political creed or not. 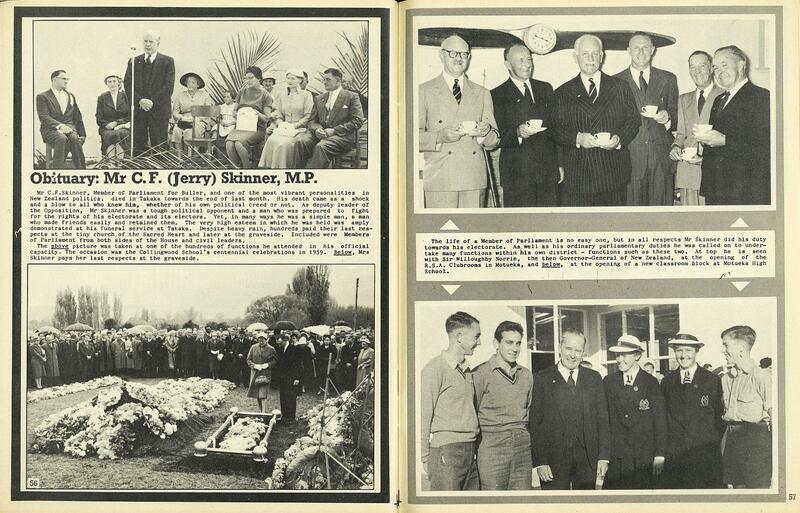 As deputy leader of the Opposition, Mr Skinner was a tough political opponent and a man who was prepared to fight for the rights of his electorate and its electors. Yet, in many ways he was a simple man, a man who made friends easily and retained them. 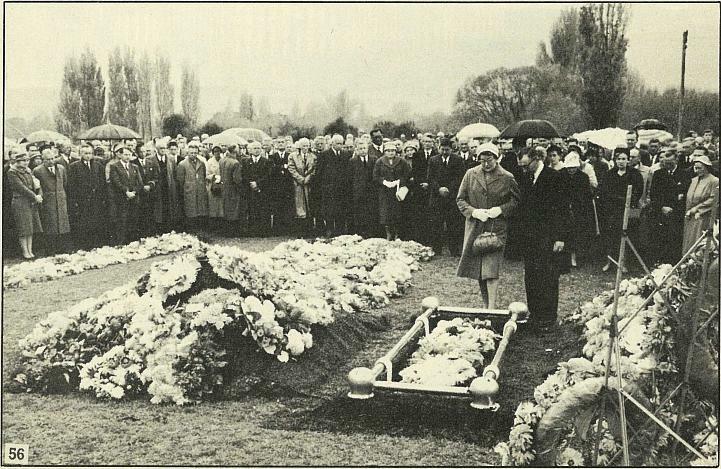 The very high esteem in which he was held was amply demonstrated at his funeral service at Takaka. Despite heavy rain, hundreds paid their last respects at the tiny church of the Sacred Heart and later at the graveside. 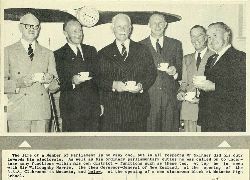 Included were Members of Parliament from both sides of the House and civil leaders. The above picture was taken at one of the hundreds of functions he attended in his official capacity. 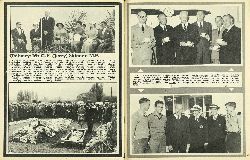 The occasion was the Collingwood School's centennial celebrations in 1959, Below. 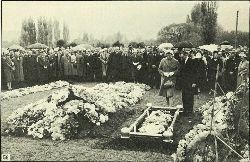 Mrs Skinner pays her last respects at the graveside. 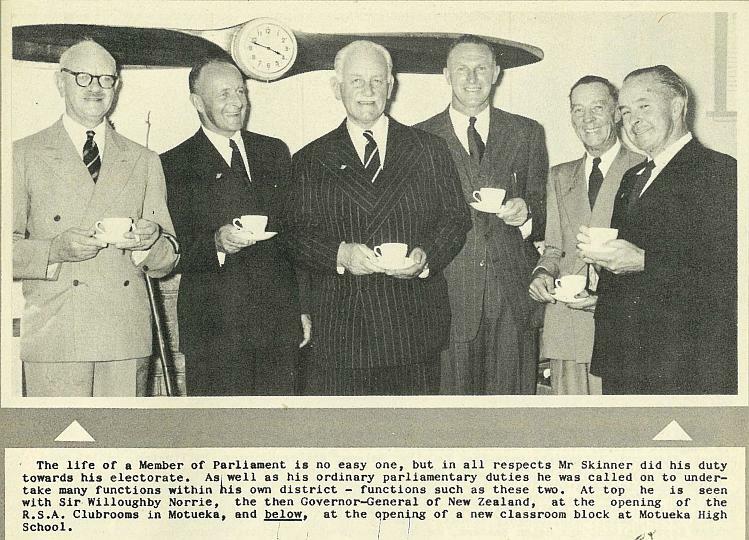 The life of a Member of Parliament is no easy one, but in all respects Mr Skinner did his duty towards his electorate. 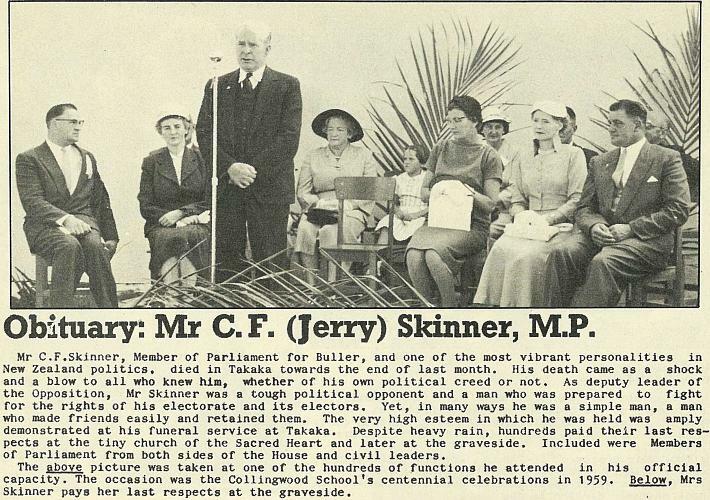 As well as his ordinary parliamentary duties he was called on to undertake many functions within his own district – functions such as these two. 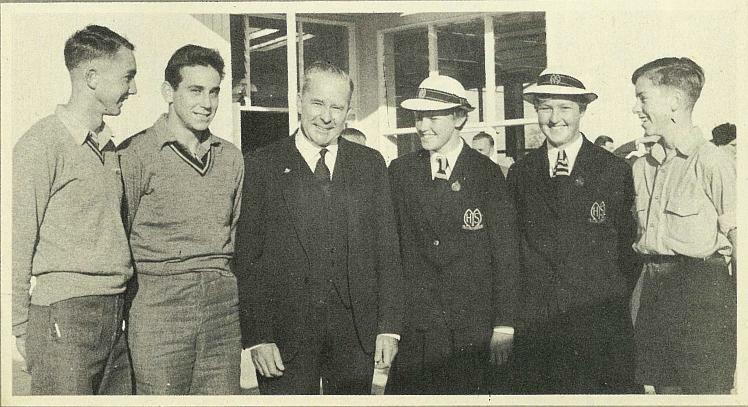 At top he is seen with Sir Willoughby Norrie, the then Governor-General of New Zealand, at the opening of the R.S.A. Clubrooms in Motueka, and below, at the opening of a new classroom block at Motueka High school.